The German manufacturer says this latest iteration of its ubiquitous sportscar has been put on a diet, while enhancements have been made to the driveline and aerodynamics. All of this has resulted in a 7 minute 20 lap of the Nürburgring – nine seconds faster than the Porsche Carrera GT supercar. Read our full Porsche 911 review by clicking here. It’s been a long time coming, but Porsche has finally loosened its grip on the mid-engined Cayman coupe and given it the power its chassis can handle – and deserves. Hot from VW’s Preview night the show-stand yellow ensures it stands out, while the headline figures imprint it in your memory. 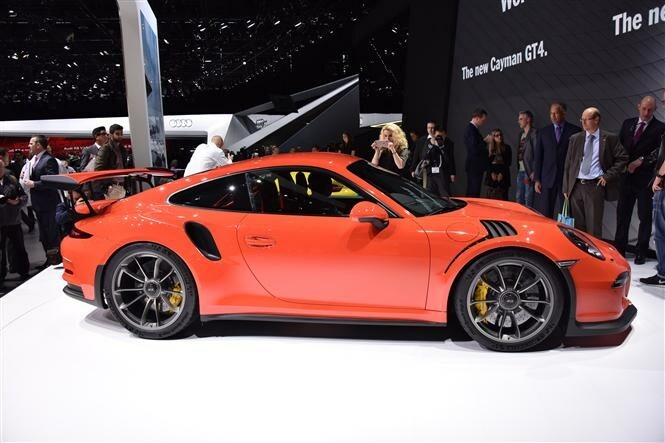 For the first time it surpasses the entry-level 911 Carrera (345bhp) thanks to its S-derived 3.8-litre flat-six engine’s 380bhp peak power. Purists will rejoice the manual only transmission, which allows for a 4.4 second 0-62mph time, while top speed is a heady 183mph. Changes to the bodywork, with more aggressive lines and a rear wing, ensure this is the only Cayman in the range to generate downforce at both axles. Along with the 30mm lower suspension and upgraded brakes, and special Michelin tyres, it’ll lap the famous Nürburgring circuit in seven minutes forty seconds, making it by far the most capable Cayman so far. Click here for the full Porsche Cayman review. 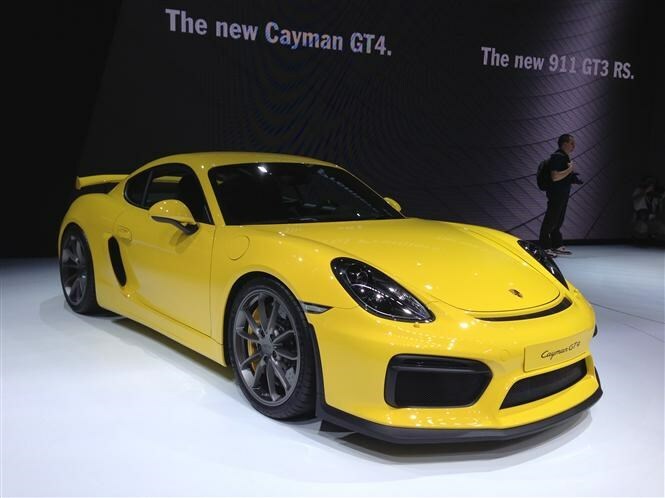 Undoubtedly; the Cayman GT4 promises to be the best mainstream Porsche to date. But if you haven’t ordered one already, you’re in for a shock - rumour has it the firm has sold out already.